Jay Tabb agrees Ipswich Town move. Former Coventry City midfielder, Jay Tabb. Former Coventry City midfielder Jay Tabb has agreed to join Championship side Ipswich Town on a two-year contract. Tabb will officially complete his move to Portman Road on July 1st, when his current contract with recently relegated side Reading, expires. 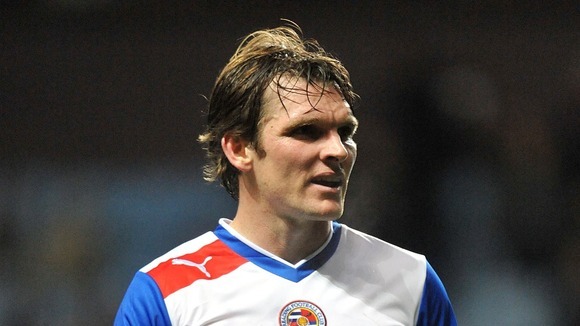 Tabb made 105 appearances for The Royals, whom he joined from Coventry City for an undisclosed fee in 2009. Tabb had arrived at the Ricoh Arena on a free transfer after the expiration of his contract at Brentford in June 2006, pulling on the Sky Blue shirt on 104 occassions, scoring 12 goals. The 29 year-old becomes Town’s second signing of the close season, having already signed Cole Skuse. Town are also likely to sign David McGoldrick on a permanent deal after spending the second half of last season on loan at Portman Road, following his hugely successful loan in the first half of the season at the Ricoh Arena last year from Nottingham Forest.